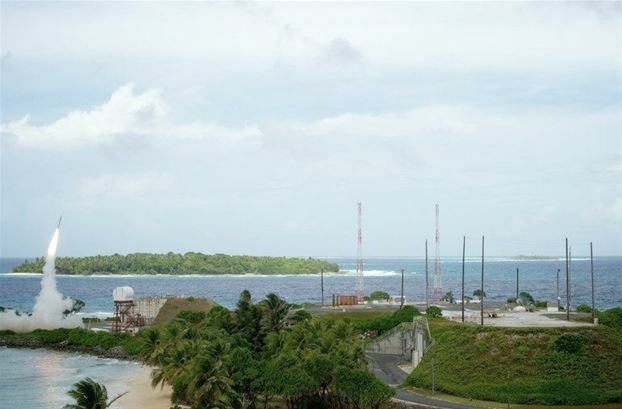 The Pentagon has decided to move an advanced missile system to the Pacific island of Guam as a precaution following threats by North Korea. The US Department of Defence said it would deploy the ballistic Terminal High Altitude Area Defense System (THAAD) in the coming weeks. Pyongyang has threatened to target South Korea and the US in recent weeks. The North Korean warlike rhetoric follows new UN sanctions and joint military drills by the US and South Korea. The Thaad system includes a truck-mounted launcher, interceptor missiles, and AN/TPY-2 tracking radar, together with an integrated fire control system. The Pentagon said in a statement the missile system would be moved to Guam as a “precautionary move to strengthen our regional defence posture against the North Korean regional ballistic missile threat”. “The United States remains vigilant in the face of North Korean provocations and stands ready to defend US territory, our allies, and our national interests,” the statement added. In recent weeks, North Korea has mentioned military bases in the US territory of Guam and the US state of Hawaii as possible targets. “Some of the actions they’ve taken over the last few weeks, present a real and clear danger,” said Defence Secretary Chuck Hagel, in his first major speech on Wednesday since taking up his post. Chuck Hagel added that Pyongyang had also threatened the interests of South Korea and Japan.